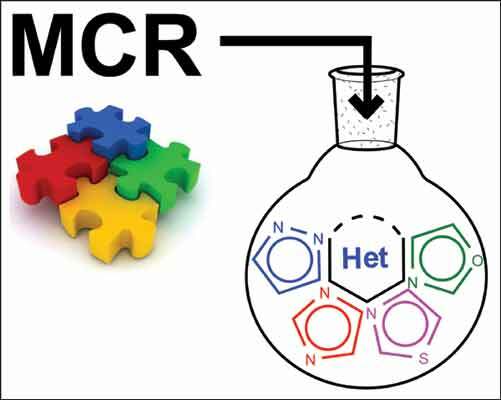 Development of efficient routes to many kinds of fused heterocycles is an attractive area of research since these compounds constitute one of the most interesting divisions of organic chemistry. A majority of the compounds produced by nature as well as significant numbers of compounds synthesized in the industrial sector each year have heterocyclic rings as part of their structures. This survey research works on the specific synthesis of oxazolo-, thiazolo-, pyrazolo- and imidazo-fused heterocycles by multi-component reactions over the last ten years. Different approaches for the synthesis of such systems are discussed. Fused heterocycles, imidazole, multicomponent reactions, oxazole, pyrazole, thiazole.